U.S. citrus production in the 2018/19 marketing year (October–September) is rebounding from previous-year lows. The current citrus crop forecast of 8.02 million tons for 2018/19 is up 31 percent from the previous season, reflecting expected expanded national production across all major citrus commodities, excluding lemons, and overall larger crops in the four major producing States. The rebound is expected to be greatest in Florida, recovering from crop losses caused by Hurricane Irma in the 2017/18 season. 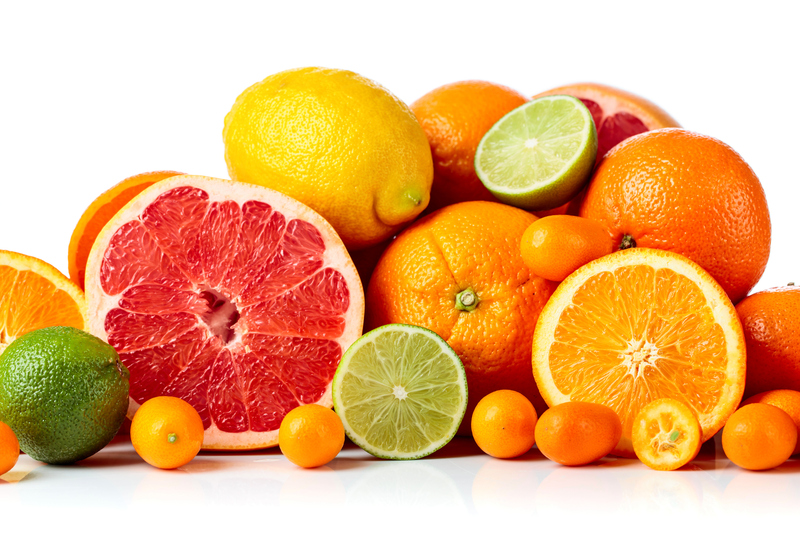 Orange and grapefruit crops are anticipated to have the largest year-over-year growth in national output, with increases of 42 percent and 24 percent, respectively. However, only orange production is projected higher than the earlier 2016/17 season, suggesting a continued long-term decline in other citrus varieties. Total citrus production still lags behind the levels reached in the early 2010s, when it exceeded 11 million tons. 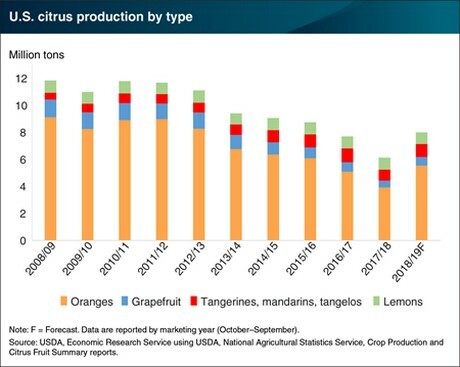 If the 2018/19 citrus production forecast is realized, it would be the first year since 2010/11 that production hasn’t declined. Expected increased 2018/19 supplies are lowering fresh citrus prices in the domestic market. This chart appears in the ERS Fruit and Tree Nut Outlook newsletter, released on March 29, 2019.